Five years ago Swinburne University staked its claim in the EV space. Since then it has been involved in a number of EV projects. In this post I will talk about the projects that I have worked on. I will use this to let you know some more about the projects that are going on in the EV space and what we have learned about EV development in general from these projects. FSAE is a student competition that runs annually. 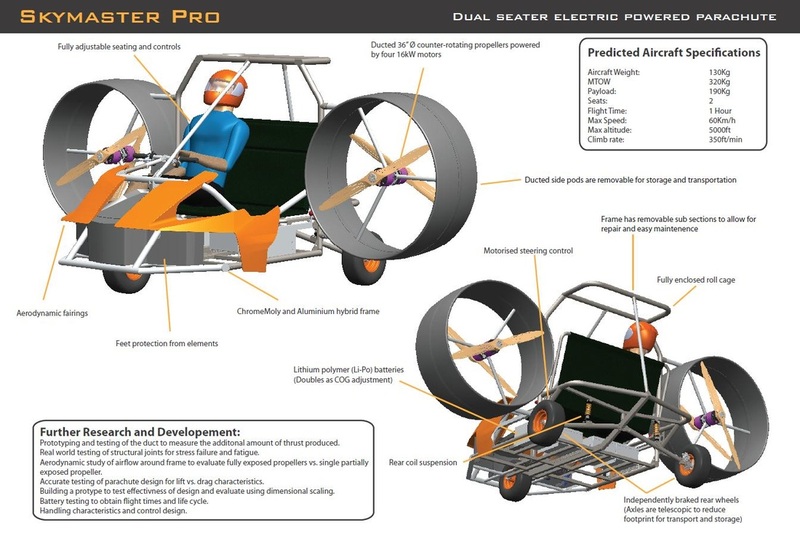 Students design, build and race their own open wheeled racers. If you get the chance, then attend one. They are open to the public, but few people attend. This means that you can often walk into the pits and talk with the teams. 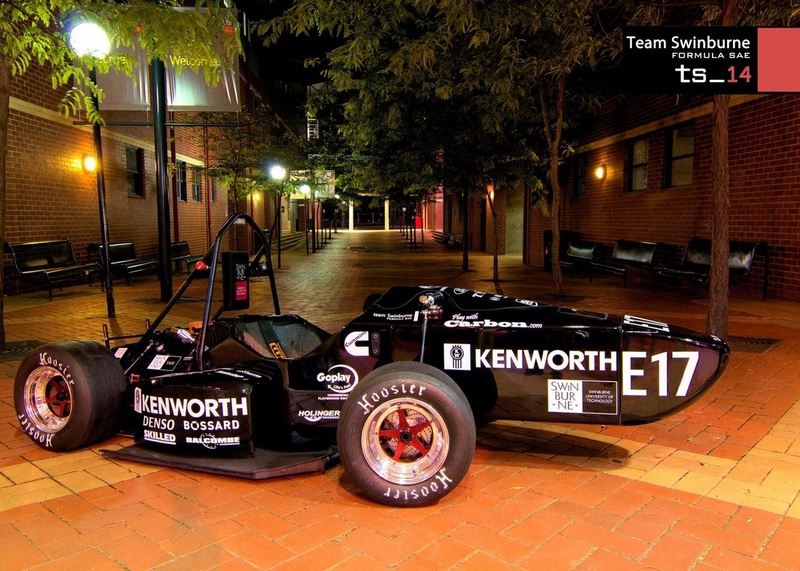 Swinburne is one of the few teams to have gone electric and has been doing so since 2010. For some time it was the only physical electric vehicles that we had in the EV lab. The development started with taking the old petrol vehicle and fitting the motor, batteries and controller in where they would fit. The 2014 car was probably the first time that we felt we not only had a purpose built electric vehicle, but one that was also refined as a purpose built electric vehicles. The battery box was smaller (basically the right size), the aerodynamic package was the right balance for an electric vehicle and the entire drive train all the way down to the tyre diameter was considered in conjunction with the motor. The car is now a well integrated system that is designed for an electric power train. The 2014 vehicle ran two Emrax 228s each with a Tritium Wave Sculptor controller. The battery pack was made of 96 EIG cells and produces around 400V. The interesting technical issue with this car was the cooling system. Electric vehicles still need cooling. If you manage the temperatures of the motor and controller, then you get more efficiency. If you manage the battery temperature, then you get more power and more life. With internal combustion engines, one only needs to keep the temperature below a set value. Design for more cooling, and you’re just carrying extra weight for no good reason. But with electric, you need to work out the point at which the extra cooling weight no longer justifies the weight of the system. It’s more involved optimisation process. This optimisation becomes even more critical when the low temperatures are considered. The amount of energy that needs to be removed is small compared to what internal combustion engines produce – that’s why electric vehicles are more efficient. However, electric motors and controllers need to be kept cooler. This means that the temperature difference that the radiators work at is much lower too. This in turn makes it harder to shunt the thermal energy from the system, and large radiators are still needed. The intended design for the Hadron electric scooter. Note the unique design where the rider is at the back and the storage can be internal. This came from the strategic weight distribution of the electric components. 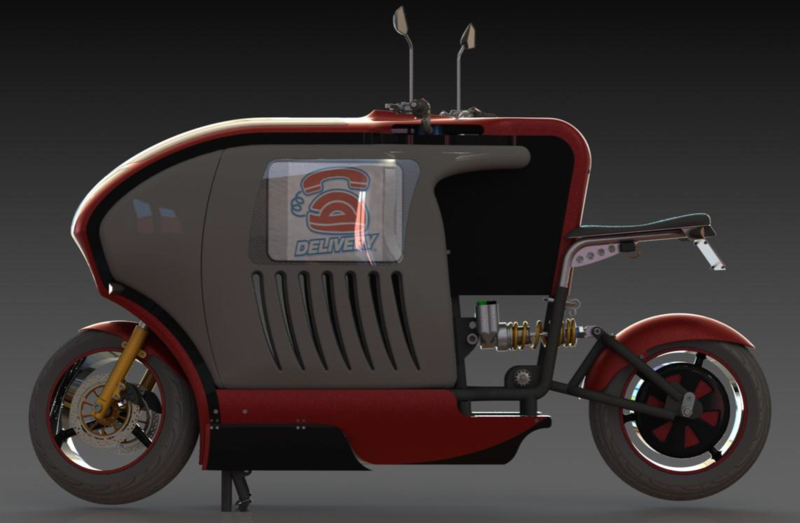 Hadron motors has been working with Swinburne for about 2 years developing a ground up design for a scooter for electric power and delivery applications. The batteries being put down low lowered the centre of mass, and allowed greater flexibility with the location of other components. The hub motor opened up room within the chassis. The above two then allowed for the rider to be moved back so that the chassis is completely open for storage. The new scooter no longer has a cumbersome box on the back for storage. Instead it has a sleek integrated storage unit within the body. This makes it a nicer looking vehicle and one that is easier to use. Lower costs – the electric system is more costly at the start, but the low maintenance of the system and the low cost of electricity makes it a better option for a business over the long term. Quite operation – a major market for the scooter is take away delivery. You can get your pizza delivered when you get the late night munchies without waking up your neighbours who start work at 6am. A number of customers have had “cease and desist” notices due to noise. Greater reliability – with only one moving part (the rotor of the motor) there are less things to go wrong. 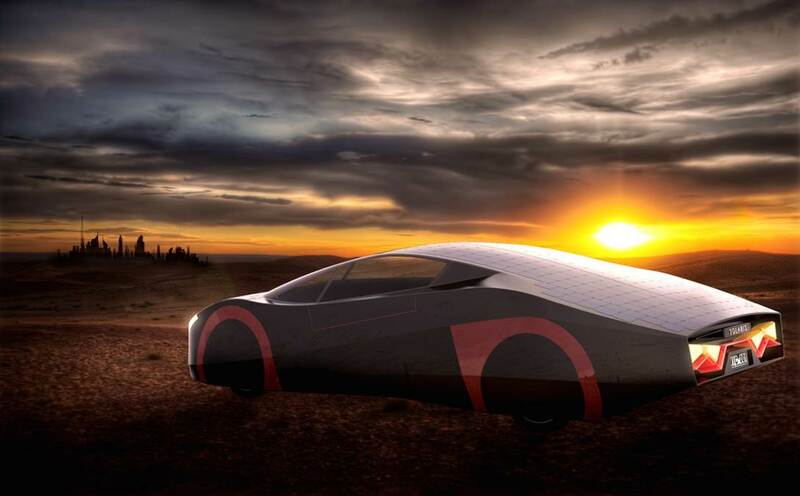 SolarXmotors and Swinburne have been working to bring the technology that has been developed in the solar racers (those that you have likely seen racing from Darwin to Adelaide) to the road in a high end sports car. One of the biggest challenges, which is common to many electric vehicles, has been the aerodynamics and balancing these the looks. The trick has been to design the most aerodynamic shape that can accommodate the internals – an aerofoil – and then pretty it up. Other challenges have been reducing the weight by integrating solar cells into the body panels and finding a powertrain combination that will balance speed, efficiency and acceleration. The laws of physics do not always allow for motors of the ideal configuration (something light, that can fit in a wheel and have the right torque curve) to be a possibility. Few know that there is a small aeronautical company in the Northern suburbs of Melbourne. Aerochute produces powered aerochutes, which make for the cheapest way you can gain your pilots license. The projects came from a desire to reduce the noise produced by the vehicles. Many popular flying area are now populated and the optimum time to fly is early morning. Few residents appreciate an engine wine above their homes an hour before they intend to wake. The electric aerochute involved the relocation of the propellers and the use of counter rotation to maximise the efficiency of flow. This was essential to be able to achieve the desired flying times with an electric power source. Precise matching of the motors to the propellers was also essential to squeeze as much from the system as possible. Over the period of designing these diverse vehicles it has been realised that electric vehicles are not simply petrol powered vehicles with the power plant replaced. Many of the heuristics of the internal combustion engine error no longer hold. Without these heuristics, intuition and judgement become less useful. In these situations, theory becomes more beneficial and all systems need to be designed from first principles. We have found that we have had to model many different ideas before settling on one. At other times we have had to read through considerable prior research to find ideas that will help us. The electric revolution is here, but it will be the domain of those who take their time and optimise for everything. Anyone interested in developing the skills that lets you design such vehicles, should consider one of the above courses. Content and photos provided by Clint in February 2015. Clint was working in industry in both China and Australia as a design engineer prior to returning to Swinburne as an academic. Clint is the academic advisor for the Swinburne FSAE team, the Swinburne Aurora Solar sports car project and other EV projects with industry. Clint's main interest is in understanding the cognition of engineering and how this understanding can be used to make superior engineers. While at Swinburne Clint has worked with scooter companies and powered parachute companies to help develop ideas to a commercialisable status. This cooperation between university students and industry is a major area of interest for Clint because it takes advantage of his industry experience and understanding. Clint has a bachelor of engineering mechanical, a mater of entrepreneurship and innovation, and a PhD in probabilistic design - all from Swinburne. Formula SAE (Society of Automotive Engineers) has been running in Australia for 15 years. You can visit this year’s event free.